Boot season is upon us! It’s time for us to bust out the cold-weather gear and figure out how to keep warm. Luckily, our options for wide calf boots have increased dramatically over the last several years. 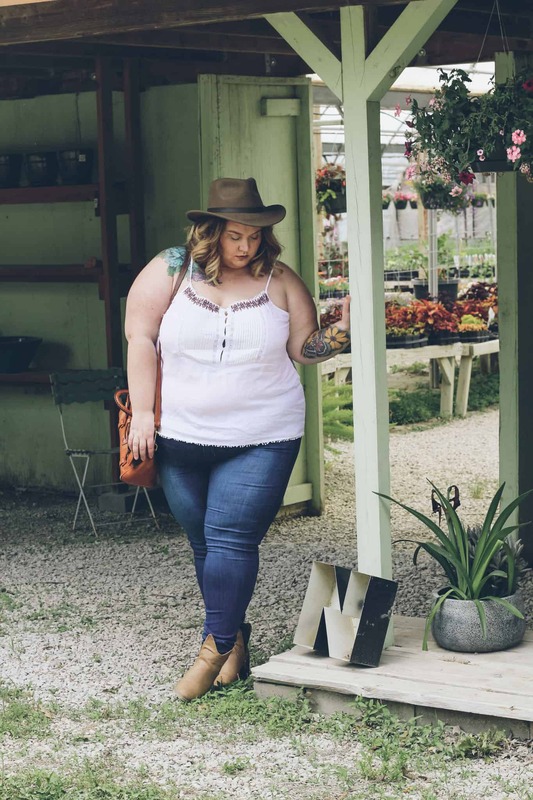 One of my favorite places to shop is SimplyBe. They have reasonably priced boots, with an easy to follow sizing guide that is guaranteed to get everyone what they need for the Winter. So what do you need to do to find your perfect fit in those spectacular wide calf boots? Well, first thing’s first – find your calf measurement! Take a measuring tape and wrap it around the largest part of your calf while standing up. Don’t hold the measuring tape too tight, it should not squeeze your flesh at all. Easy right? Next you will figure out your foot width. Place the measuring tape under your foot and measure around (the circumference) the widest part of your foot. Now that you know the width of your foot, take a look at the chart below and find where your shoe size (US) and your foot width meet. 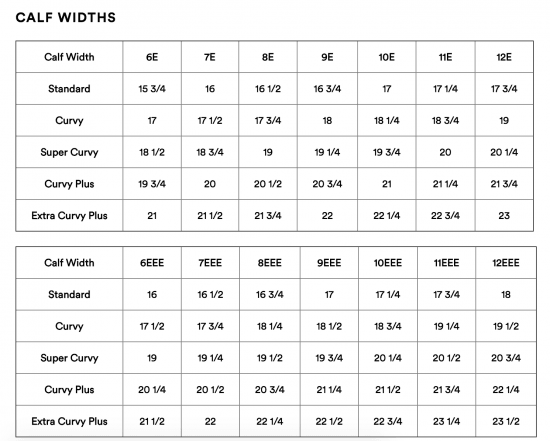 When you find where your foot width and size meet, check out the letter at the bottom of the chart. That is your designated width. If you fall between a width size, size up! Now that you know what letter you are – let’s add in the calf width portion! 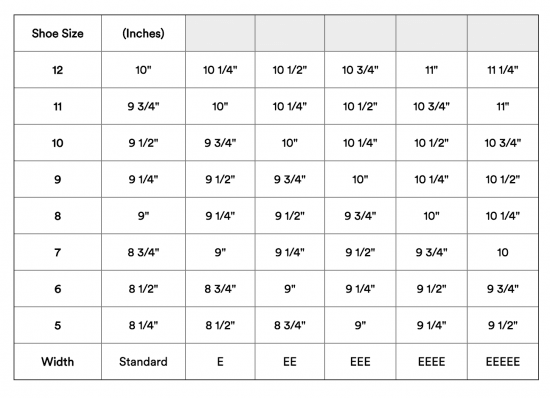 Take a look at the size charts below and find your shoe size (ie: 9EEE). Now look at the calf widths listed below your shoe size and find the measurement that is closest to your own calf width (size up when needed). Look along the left hand column to see the name of the calf size you’ll need. My Summer Uniform And… Cats. This is great info. I’ve been wanting wide calf boots but had given up a long time ago. New hope! Thanks. I’d get the Sole Diva Buckle High Leg Boots. Beautiful video you always look great! Like those boots, awesome to have a choice of different styles and colors. 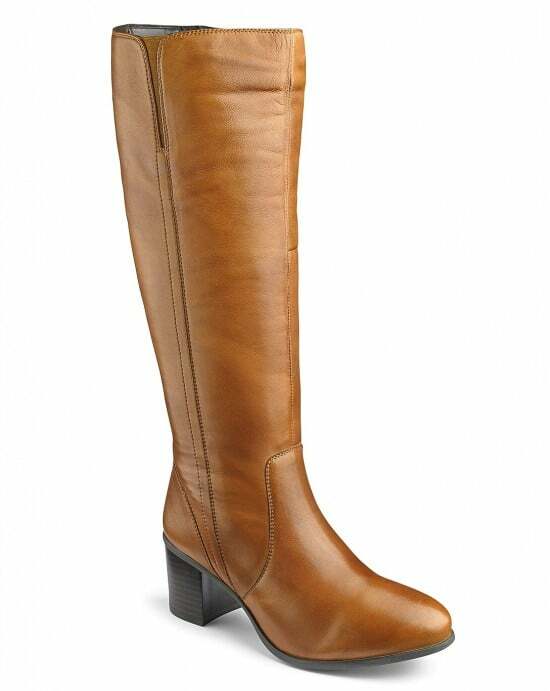 I like brown riding boot keep looking great. ?love your style. Hi there thank you for showing us these gorgeous boots!! I’m 32 and have never owned a pair of boots bcuz I was always to big and didn’t know there was actual options out there for us!! I’m loving the “Heavenly Sole Knee High boots” in black!!! So beautiful!!! First off Hiii, your fabulous love so much!!!! Okay so Next If I won I would definitely get the heavenly soles knee high military boot. I just think they are so cute and you could pair them with so many different things. I love them. There’s more than just the calf width at work here. There’s also a calf length in the picture. Boot shafts are tapered, so while the top of the boot shaft might be 23 inches around, just a couple inches down from that, it might only be 18 or 20 inches around. If you’re shorter than the fit model they used to construct the boots, there’s a good chance that the widest part of your calf is not going to match up with the widest part of the boot shaft. You could have 21 inch calves and still not be able to fit in a 23 inch shaft boot. I know this pain. 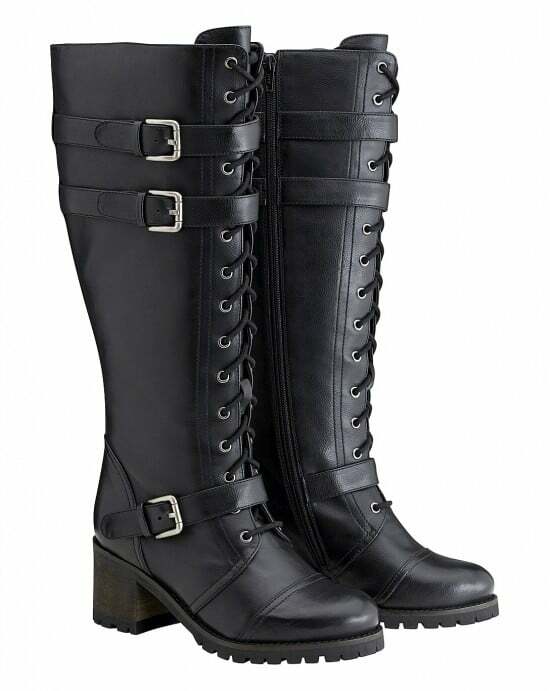 I am 5’3″, and have looked and looked and looked for boots, and have never found any mid-calf or taller boots that fit me, even though my calf size is easily within the range of what wide calf boots supposedly fit. They’re just not designed for my short person legs. I’ve given up at this point. I’ve just learned to accept that I’m an ankle boot kind of gal. I FEEL YOUR PAIN! Seeing this blog post got me excited but then as I started to look I feel skeptical. I’m 5’1 and I have short legs and super wide calves. I’ve given up on the idea that I’ll ever have a pair of boots ??? Try Torid. I’m 5’3 and struggle with the same issue but most of their boots are elastic backed so they stretch really well. Plus they have boots in their physical locations so you can try things on in store. 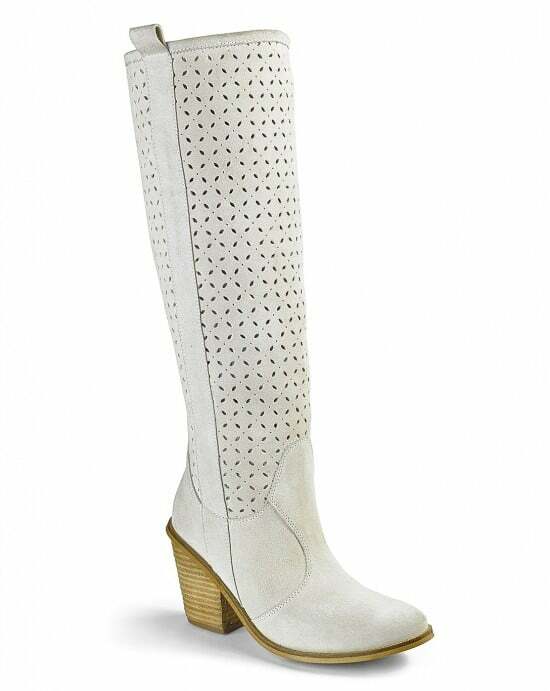 I would get the Heavenly Sole knee high riding boot. I have super thick calves and every plus size store with “wide calf” shoes never has anything close to fitting, so it’s super exciting to see the larger calf options that will actually fit me! I LOVE those black and gold boots. Great video. Checking out Simply Be now!!! THANK YOU! Video was awesome! Wonderful info! I had an infection in my foot and could never wear a dress shoe let alone a boot. But last year I was able to fit in a boot for the very first time. I was so stinking excited! I’d love to find a cute pair with a heel! Wish me luck! I love the Heavenly Soles High Leg Boots, they look so comfy!! OMG. I need both SOLE DIVA QUILTED HI LEG BOOTS and HEAVENLY SOLES HIGH LEG BOOTS. The measurement formula is the most logical and easy thing I’ve ever seen for the royal pain it is to find well fitting tall boots! Thanks so much! The Sole Diva boots are my favorite! I’m with Colette! At only 5’2″, it’s hard to find tall boots that fit great! And living in California, I don’t have to worry too much about snow! Loving the Soul Diva Peep Toe Shoe Boots, The Soul Diva Slouchy Boots, and would love to see if the knee high Cushion Walk Boots would work on short legs! Keep up the awesome videos! I love the Sole Diva buckle boots! Thanks for showing how to measure and introducing this website to me. Fantastic article! Love their boots, Wish I could wear them. As a 9E with a 24″ calf, I can’t. I’ve tried getting larger foot sizes to get the calf to fit, and even with multiple pairs of socks, I end up with blisters. It makes me sad. I would LOVE to buy these boots, they are fashionable, fun and functional. Everything I need for my first winter in the North! I would LOVE the Sole Diva over the knee black suede boots. Might get them regardless. 🙂 Thanks for the chance! Thank you so much for sharing this info! 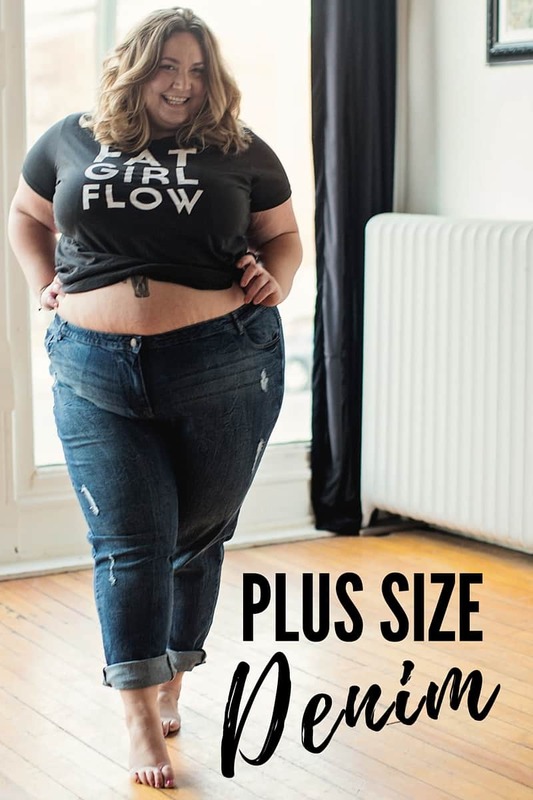 The way to get sizing makes sense, but didn’t realize Simply Be had this new selection so signed up for their emails! 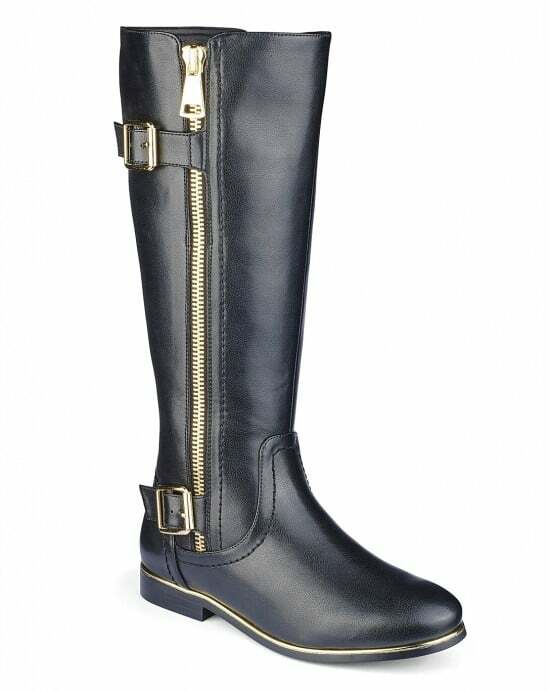 Would love the Sole Diva Buckle Boots in a size 7 black and gold – but for some reason when I click on them on my cell the site is saying the link is broken (not sure if you can let Simply Be know that – I’ve been getting the error on several Boots I’ve tried to look at closer). Also the Fly London Mel Ankle Boots in Dark Brown size 7 – those might not count though since they’re not taking calf into account. ;). But will prob buy them anyway! I am having the worst time trying to buy a pair of boots from Simply Be…it keeps telling me to complete all the information for my payment card. I have and I don’t now why it won’t complete the payment?? Anyone else have this issue with this website? I love boots and loved the heel on the pair you showed! Loved the video, tips and you looked beautiful (as always). Thanks for an awesome giveaway (and for explaining the sizing system!) I’ve had Simply Be’s SOLE DIVA BUCKLE BOOT on my wishlist for ages. After years of not being able to find wide-calf boots, I bought some last year from Rose Petals that are fantastic – real leather (which can be hard to find in wider widths) and super comfortable. I would definitely recommend checking them out.